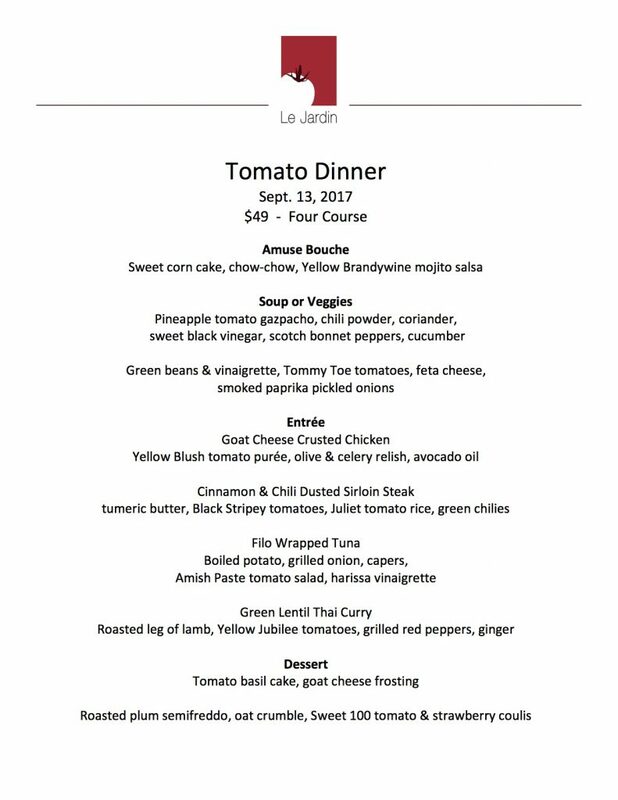 Join us Wednesday, September 13 for the 16th annual Tomato Dinner. This four course offering with explore several varietals of heirloom tomatoes. Call 515-255-5787 for reservations.